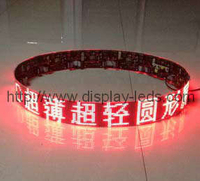 Indoor LED Display Module | 64x32 dots, Pitch 4mm | Full color RGB SMD Pixel -LightKey Optoelectronics Ltd. Very good performance of uniformities, high efficiency, low lumen degrade and high stability. 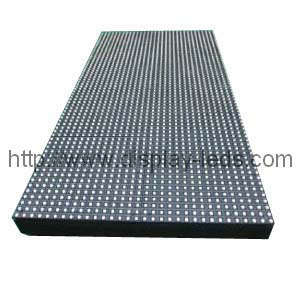 4mm pixel pitch, RGB 0505 SMD LED soldered per pixel, array in a line better in color mix display, 62500 pixels per square meter. 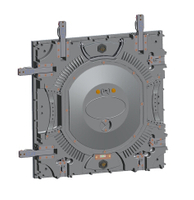 With resolution of 64x32 and module size of 256mmx128mm, the structure of combined driver board ensures the high reliability. 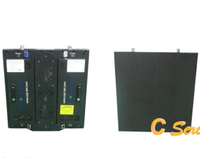 It is suitable for indoor LED display application because of its large viewing angle, soft image and high definition. It has good performance in color consistency and mosaic tile free with high temperature resistance module mask and heavier-duty module frame. The design of multi-layer circuit board makes the uniform distribution of current distribution, quick heat dispelling, long life span and high reliability.